I'm a beginning writer with a Brisbane Bucket-list and a desire to see it all and report back. 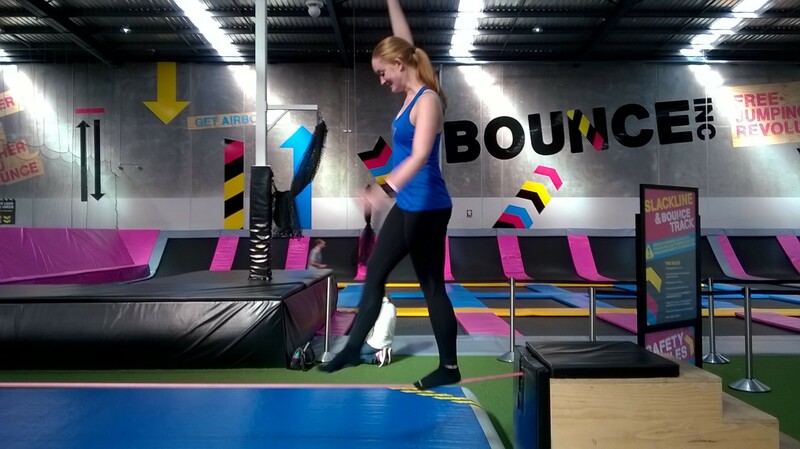 In my hunt to ensure that exercise in Brisbane never has to be boring I stumbled across the fitness classes that both Bounce and Sky Zone have on offer. 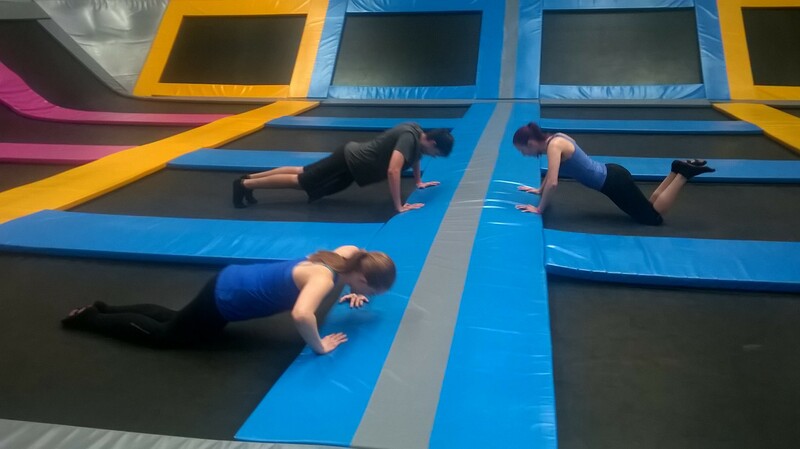 Anyone who has visited these indoor trampoline worlds know that even a normal session can be tiring (although the kiddies bouncing around never seem to think so), so why not add in some push-ups and mountain climbers and make it a real challenge. We choose to try the class at Bounce based on the fact that it is situated perfectly between my house and my mate's. However give me a few weekends and I plan on trying Sky Zone's cardio classes or perhaps their perfectly named "Tightbum" session. 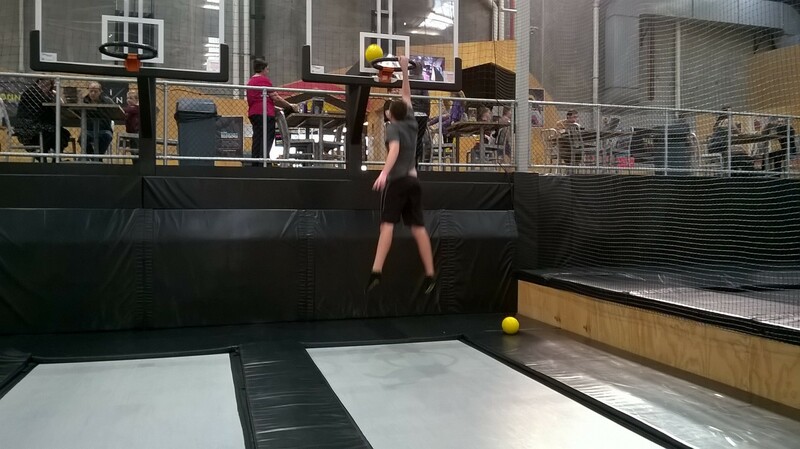 That is something quite different between the two Trampolines Parks; Bounce offers one type of class, where as Sky Zone offers a changing timetable with various types of classes. Regardless of which one you choose be aware there may be changes in class times during school holidays, when the little ones come out to bounce in droves. Bounce and Sky Zone's timetables as of the 4th of July. When we arrived at Bounce we were given our distinct wrist bands, locked our belongings away and jumped straight on the tramps at exactly 9am. Obviously 9am is not a normal time to be out of bed on a Saturday because we were the only three in attendance and as a result were given very personalised attention. Apparently the 10am weekday classes and the evening classes are significantly more popular, if you are looking to hide at the back of a large group. 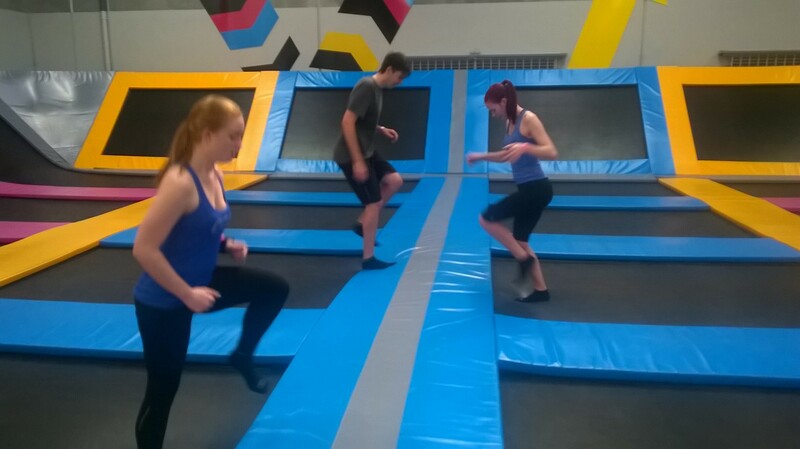 The class began with a quick lesson on the standard jumping styles; tuck jump, star jump and another one that involved touching your toes in the air. After this we did 10 lots of each, then 20 and then 30. Then we all lay on our squishy trampoline beds wondering whether or not we would make it through the next 40 minutes. Luckily we got a break from the cardio-intense jumping and moved straight into strength training. We did various sets of push-ups, Russian twists, planks, squats and mountain climbers. But of course there wouldn't be any point in exercising at Bounce if we didn't use the trampolines so of course we jumped in between our sets. Push Ups, Mountain Climbers and Planks. At the end of the 45-minute session we were happily surprised to be told that we could spend the next 15 minutes in the general jumping area. So we immediately ran (okay so we slowly crawled) to the new tightrope area and practice walking in a straight line a metre from the ground, mainly because it involved the least amount of energy and we were exhausted. However only a few minutes later we were running around with the other little kids, slam-dunking and flipping onto the big bag. After cardio and strength training, why not give balance a go? If the experience has taught me anything it would be that exercise doesn't have to be boring, so ditch that gym and start jumping! A slam dunk to end the hour-long exercise session.